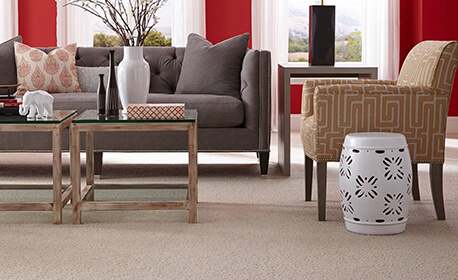 Of the many purchases you make for your home, few will do as much as carpet to improve your surroundings. The toe-curling comfort. The sense of style it gives your decorating scheme. Above all it’s the soft, warm touch of carpet that makes a house a home. In today’s market, there is a vast range of carpet colors, patterns, and styles from which to choose. How do you find the one that’s right for your home? 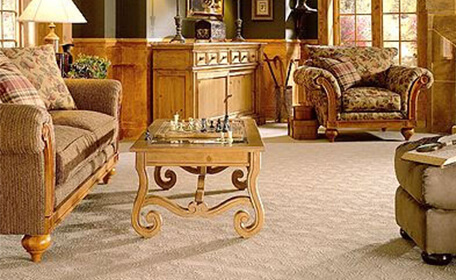 By visiting Karastan’s Website, you are well on your way to selecting the perfect carpet. The advice and information in this section will equip you with the knowledge and confidence you need to find a carpet that looks good, cleans well, and gives you pleasure for years to come. Wool: Wool is the most beautiful, luxurious, and durable of all the carpet fibers. It is a natural fiber that is highly regarded for its strength, durability, crush resistance, cleanability, and comfort. Visit Karastan Wools to learn more about this superior fiber. Nylon: This man-made fiber provides a less expensive option than all-wool carpets while maintaining durability and softness. Karastan uses DuPont Tactesse® Nylon in many of its carpets for added crush resistance and stain protection. Polypropylene: Also known as olefin, polypropylene is a thermoplastic resin made from propylene gas. Carpets made from polypropylene have good abrasion resistance, but tend to flatten quickly. Polyester: Polyester has good color clarity, colorfastness, and resistance to water-soluble stains. All of Karastan’s staple polyester yarn comes from the company’s state-of-the art plastic bottle recycling facility. This “food” grade PET Polyester fiber might be considered to be better quality than “carpet-grade” polyester fiber. Craftsmanship Most carpets are either woven or tufted. Weaving is the superior method as it locks each yarn into the backing, creating a highly durable carpet. 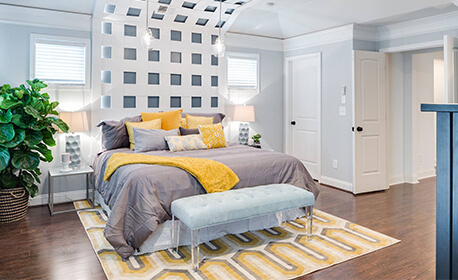 Tufted carpets are less expensive because they can be made faster. Click on The Making of a Karastan for more information on woven versus tufted. Materials Karastan uses only premium quality fibers to ensure a long life and maximum performance. Wool is the standard by which all fibers are judged. If wool is not your choice, look for premium nylon fibers like those from Karastan, Solutia or Stainmaster. If one of these fiber producers supplied the nylon, you’ll see their name on the carpet label along with the manufacturer. Pile Density Density refers to the amount of pile yarn used in the carpet and the closeness of the weave. In general, the denser the pile, the better the performance. Take the sample and bend the face-pile away from you. Can you see the backing? The denser the pile, the less backing will be visible. Face Weight versus Total Weight PFace weight is the amount of fiber used on the surface of the carpet expressed in ounces per square yard. This should not be confused with total weight, which is the face weight plus the weight of the backing. Do not buy a carpet because it has a high face weight. Other qualities, like density, fiber, and weave are more important. 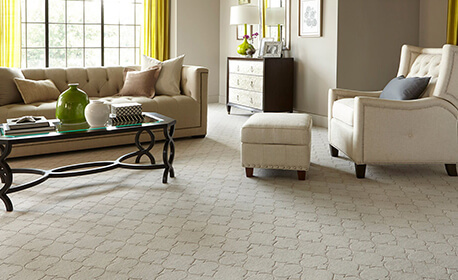 Keep in mind: a lighter weight woven carpet will outperform a higher weight tufted product. 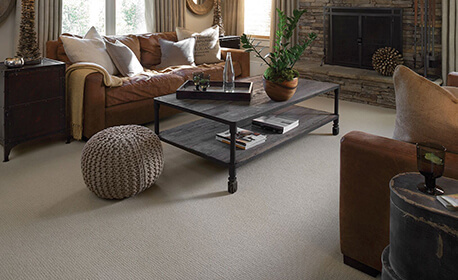 Twist Carpet fibers are twisted together for harder wear and a defined look. The tighter the fiber twist, the longer the carpet will perform. Backing While you are looking at the label, also examine the backing of the carpet. Make sure the backing has a tight weave. This ensures quality and wear. 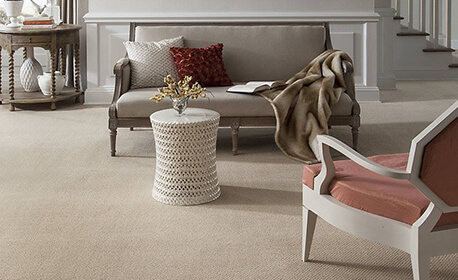 Finishes Stain-resistant treatments, like those from Karastan, Solutia and Stainmaster, are often applied to nylon carpets to make them easier to clean. Since wool is naturally soil resistant, it does not require further treatment.